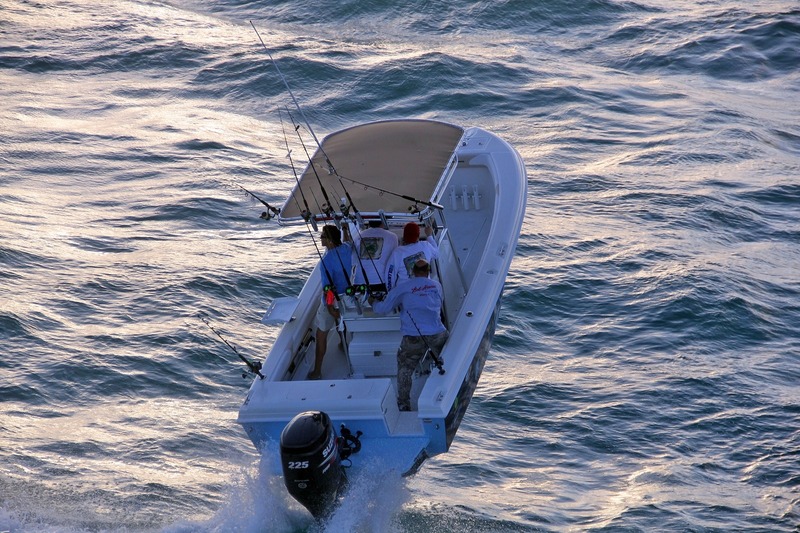 Bluewaters in the News… – Bluewater Sportfishing Boats, Inc.
During the recent Grove Slam tournament in Miami one of our owners decided to challenge gravity in a way I have not seen before on one of our BW 2150′s. I usually tell customers that the boat can take much more then they can when the sea starts to get rough but these guys have set the bar high…Very High!!!! The guys are standing vertically so you be the judge of the take off angle?? ?All ended well and they had a great day on the water….So if you wonder how tough our 2150 is this should give you a clue!!! !